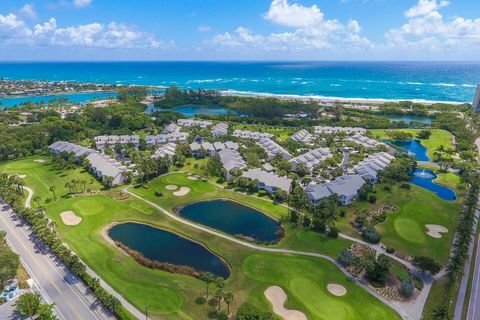 Jupiter Dunes is a condo community nestled in the heart of a 28-acre, 18-hole golf course just off the sandy coastline of the Atlantic Ocean. Built between 1980 and 1982 the community features 116 two-bedroom condo units with square footage ranging from 1,280 to 1,810. Aside from its golf course and picture perfect scenery, Jupiter Dunes also features a clubhouse and two swimming pools. Jupiter beaches, restaurants, shopping and recreational areas are all easily accessible.